Like the first rays of the morning sun, glowing hues blossom and bloom in our Sunrise Surprise! 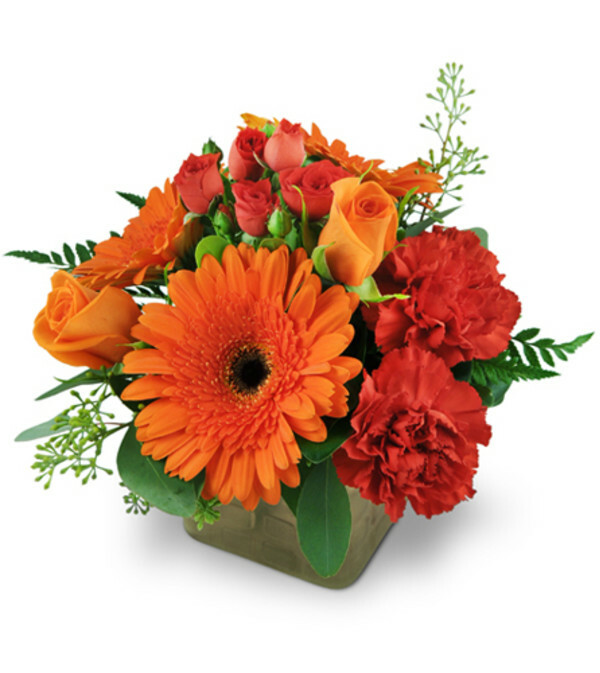 Radiant red roses and outrageous orange gerbera daisies and are sure to set anyone's heart aglow. 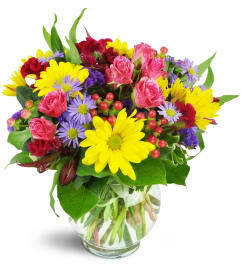 Perfect for birthdays, special occasions, or just because! 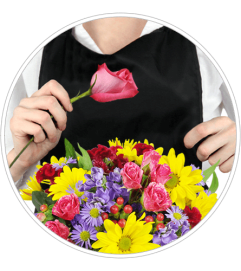 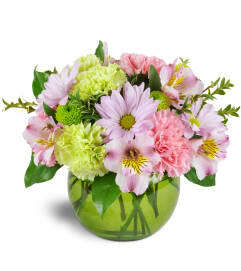 Roses, spray roses, gerbera daisies, and carnations, accented with seeded eucalyptus and pittosporum, make up this delightful arrangement.